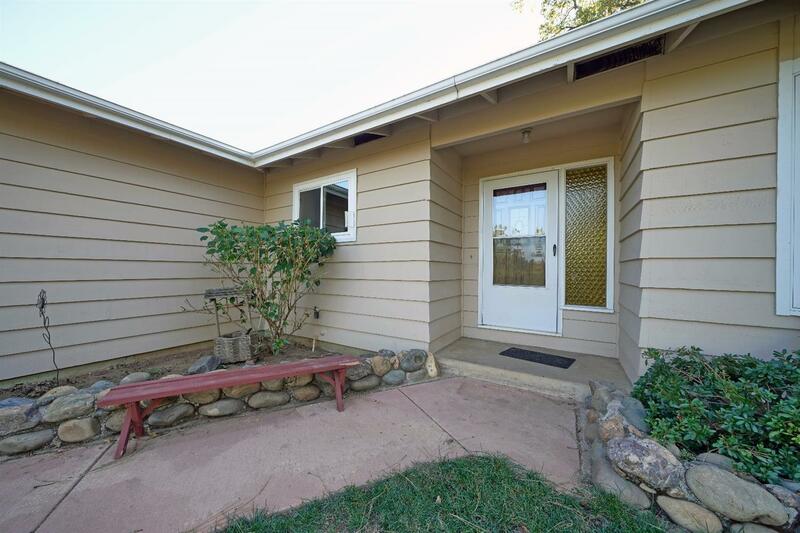 Wonderful ranch style home in Placerville. This 1600 SQ FT home has 3 bedrooms with wood floors, 2 baths and a darling remodeled kitchen. The living and family rooms are carpeted with an insert in the fireplace and a slider that opens to a great covered patio. Lawn area in front has mature landscaping and easy access to the backyard. Laundry is in the large 2 car garage and ample parking in driveway. Newer roof and HVAC. All this just a couple of minutes to Hwy 50 and downtown Placerville.